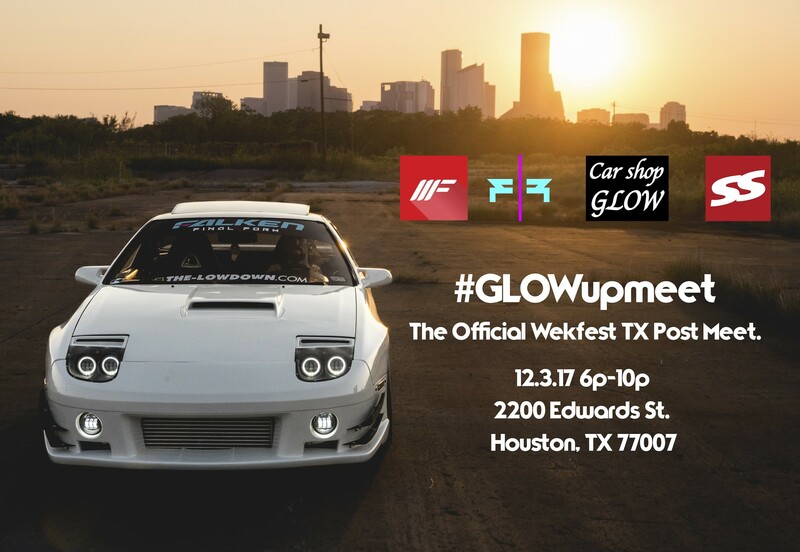 The famous Japanese tuner, Car Shop GLOW will be making their first official meet in North America with help from event organizers Final Form USA to bring you the most radical Japanese inspired car meet in downtown Houston, TX! We have many cars coming from different states to attend this exclusive night time meet that overlooks the beautiful downtown Houston skyline at Holler Brewing company! We are also partnering with Local Pho across the street and will be using the 2200 block of Edwards St. for the best meet of the year! We will have access to restrooms, beer, food offered by Local Pho, Copa HTX, and Breaking Bao, and plenty of parking for SLAMMED rides, and copious amounts of lighting for the entire block. Media coverage is confirmed by Super Street Magazine, StanceNation,Front Street Media online and JDM-option Magazine from Japan! 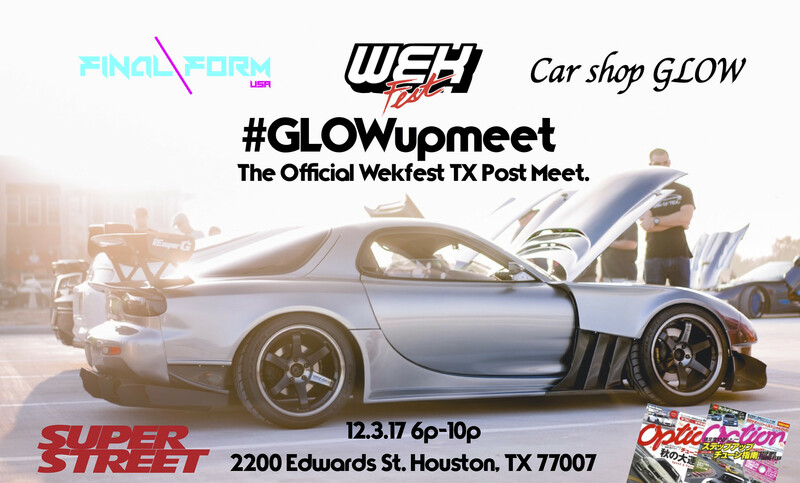 Our meet will also serve as the official WekFest TX post meet! WekFest TX will be held at NRG Park on the same day from 1p-6p! You can find us there as an official vendor at a booth, and see the rest of the team at the meet! Buy your Wekfest TX tickets! Select second hand parts for JDM cars! Towels, lanyards, drawstring backpacks, stickers! Reinhard Japan Cat Back exhausts!! ALL WILL BE ON SALE AT THE EVENT! FIRST COME FIRST SERVE STARTING AT 6PM!